When we check-in at restaurants/hotels, we get a menu list on the table. A menu list contains a list of food items served by that particular hotel/restaurant. It makes our task simpler because we do not invest our time to discuss menu list with hotel staff/waiter. We check the list and order our favorite food. But, making a custom food menu list is not an easy task. It requires planning and fresh ideas. You will get all fresh ideas and references via our food menu sample collection. Download the given Weekly Menu sample documents and create custom food menu lists instantly. Food pyramid menu sample PDF throws light on the energy level and activity level of male and females of variable ages. Understand your age level and calorie requirement to match your needs. Also, get an insight on the food groups and their calorie level. 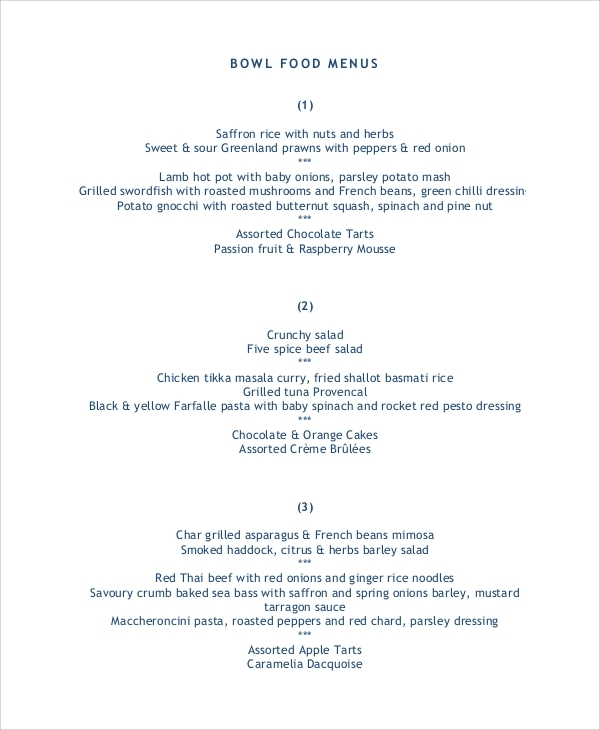 Download food menu list sample PDF and prepare your weekly diet chart. It contains a pre-written weekly meal plan including a breakfast menu, lunch and dinner. The template also contains a shopping list sample. 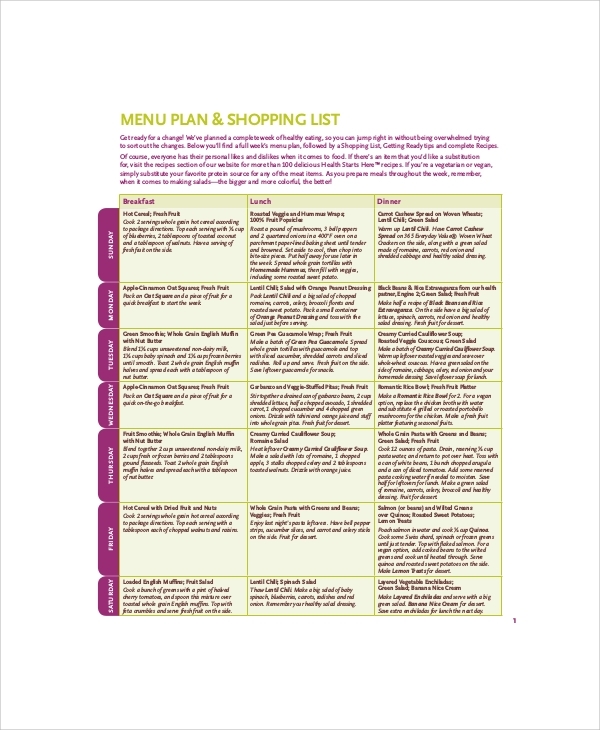 Take a printout and organize your food shopping. 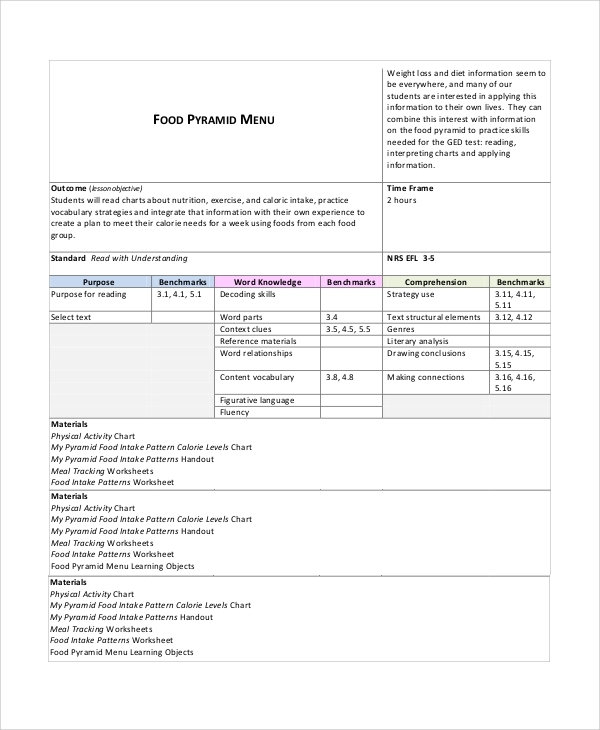 This is a useful food menu template for mothers and individuals. Bowl food menu sample PDF is a simple bowl food menu list. Use number pattern to classify bowl food menu items. You can use the structure/content pattern for making any kind of food menu list for item listing. 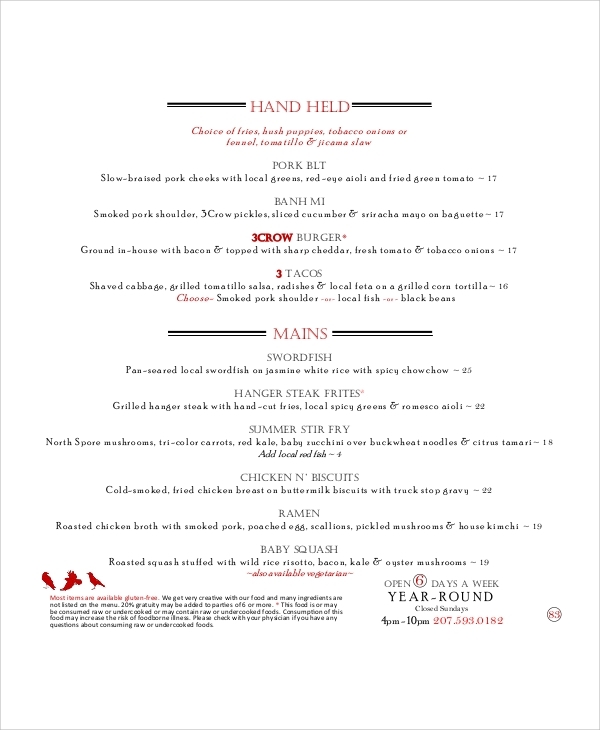 Restaurant food menu sample PDF is a simple, specific, and basic food restaurant menu item template. You can take reference of the sample food menu design to create a custom bakery, restaurant, hotel, or a small food vendor menu list. Classify your food menu list and arrange them in a keen and systematic structure. 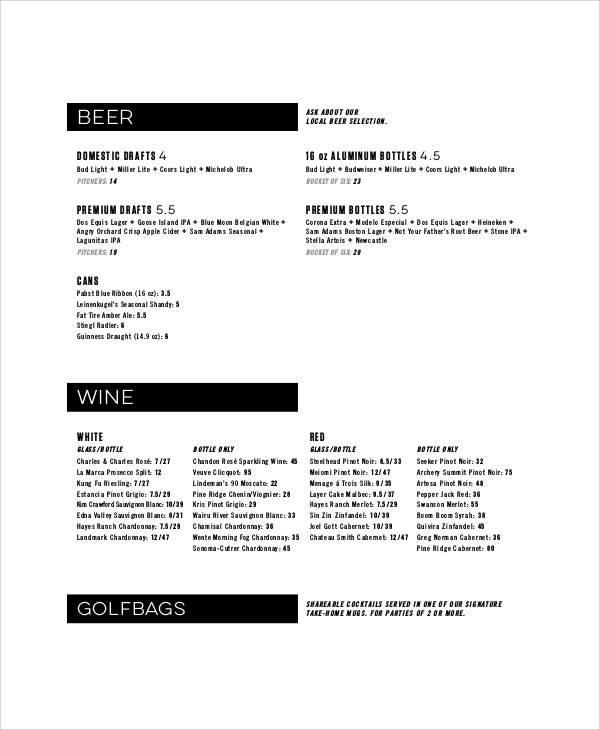 Food menu sample templates can be used by individuals, mothers, restaurants, hotels, cafeteria, and other food vendors to create a custom food menu sample. Food menu list will share all available products with customers. The customers can choose the particular food menu and order it effectively. A food menu list makes your business organized. It leaves a professional impact on the customer. 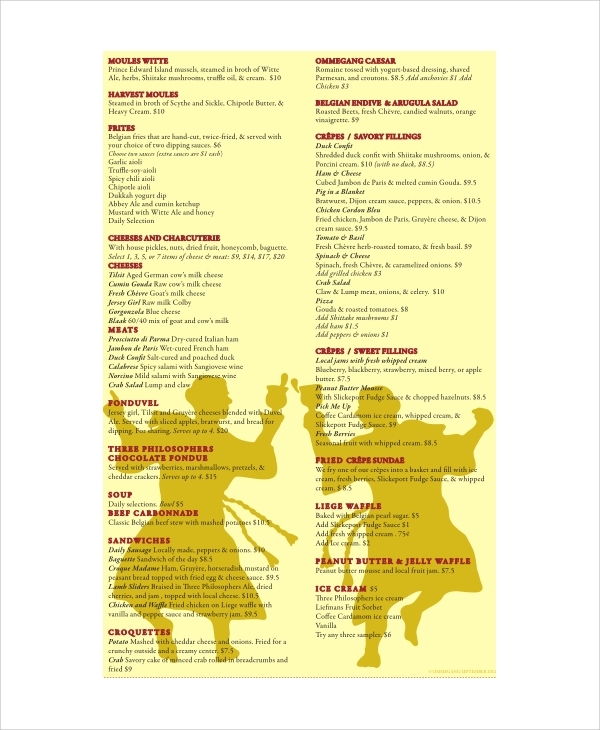 A classified food menu list makes food selection an even simpler task for customers. You can also seeSample Wedding Menus. 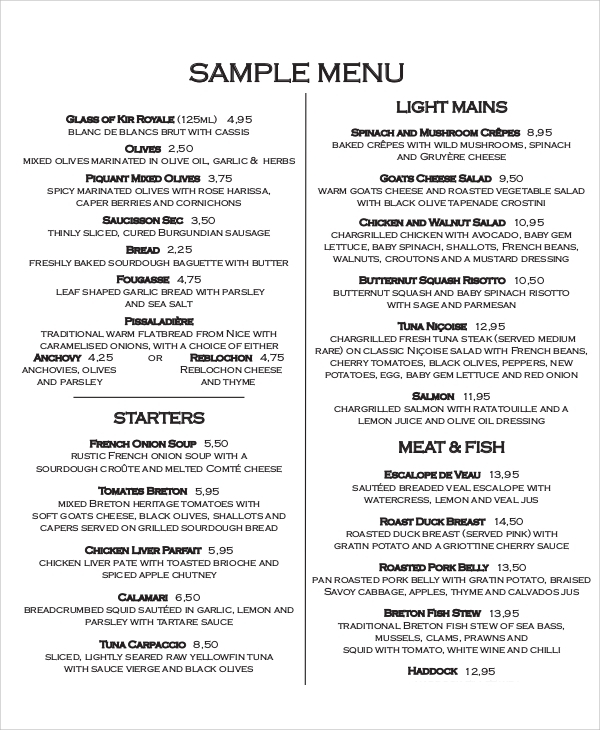 Our food menu sample PDF documents are easy to download and print. You can classify food items, organize your menu list, and get unique ideas for creating a custom food item list. We provide our best to help you. 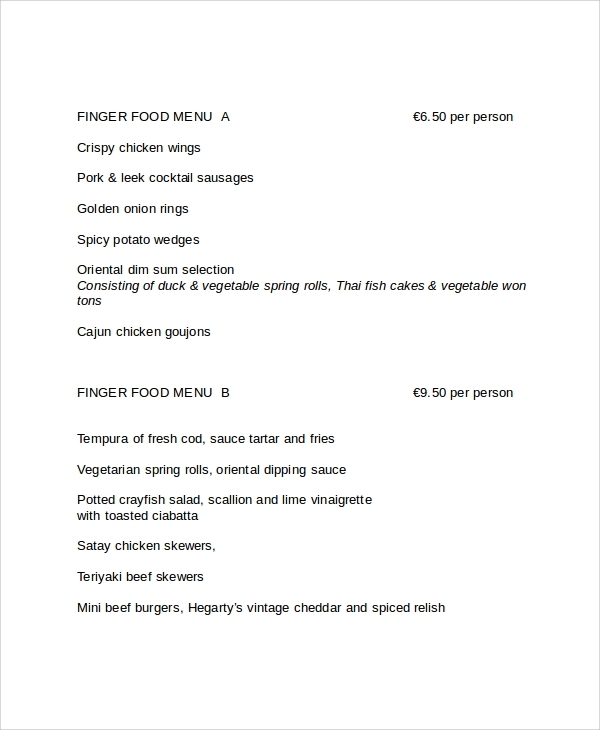 Do check our restaurant menu sample templates and create your professional restaurant menu lists.